She pointed out in the earlier days that only the upper class could enter temples. 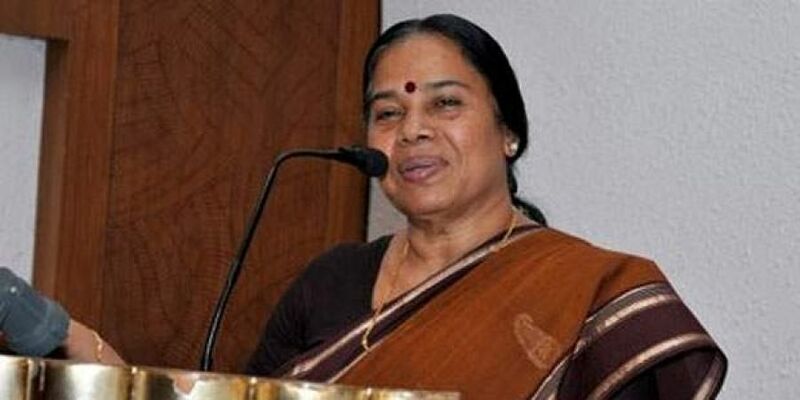 THIRUVANANTHAPURAM: Amidst a social media campaign against CPM central committee member PK Sreemathy for allegedly insulting Hindu religious practices, the party has outrightly rejected the same and even launched a counter-campaign to declare actual facts. In her speech at Pathanamthitta, as part of the women gathering to defend the party on the Sabarimala issue, Sreemathy referred to the atrocities and injustices against women prevalent in society. She pointed out in the earlier days, only the upper class could enter temples. Women could enter a temple only in wet clothes, as they could do so only after taking a dip in the temple pond. Edited portions of her speech were circulated through social media in an effort to create an impression the leader had portrayed women devotees in a bad light. With the issue creating ripples on social media, senior members from the central leadership made inquiries and offered support to Sreemathy. As part of the counter-campaign, Sreemathy in consultation with the party leadership also posted another short video explaining what she had actually said on the occasion, and how the truth was twisted on social media. “In fact, I was referring to the practice of ‘Kulichu Thozhal’ (going for darshan after the ritual bath in the temple pond) which was an accepted practice in our state. I was, in fact, pointing at the helplessness of the women who had to walk in wet clothes,” Sreemathy told Express. Watch the video and analyse her body language before writing anything.